Set up your account today and submit for the latest Extras Casting in Atlanta and in the greater Atlanta, Georgia area today. Stay current on the most recent Atlanta Castings, open calls, and auditions by joining our NYCastings.com newsletter. 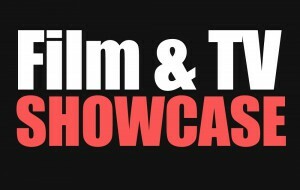 Click here for more Atlanta Film Castings. Finding Extras Casting in Atlanta for our talent is hard work. We are proud to share our talent’s acting success stories! Read thousands of success stories from our acting and modeling talent that use our service daily. No wonder NYCastings is voted #1 as most effective casting site; year after year. Our talent can direct submit themselves to Film, TV, Theatre, Modeling, Commercial, Print, Casting Calls and Talent Agencies. Over 17 years, NYCastings has been working on major and notable projects such as The Wolf of Wall Street, Salt, The Devil Wears Prada, The Good Wife, Gotham, Newsies, I am Legend, X-Men, Spiderman and thousands more. We also serve thousands of independent film producers that use our services daily. Our clients are Production Companies, Casting Directors, Ad Agencies, Talent Agents & Managers. We make it easy to find acting and modeling work! When you register as talent, you simply create your online resume and start submitting right away to Atlanta castings or audition notices. You also can submit to many other locations throughout the country. We post agency talent calls as well. Proudly, we list more union and non-union jobs in more areas of entertainment than any other comparable site, every day. NYCastings has been a staple in the Production Community helping our clients in Casting Talent & Crew on hundreds of productions a month.